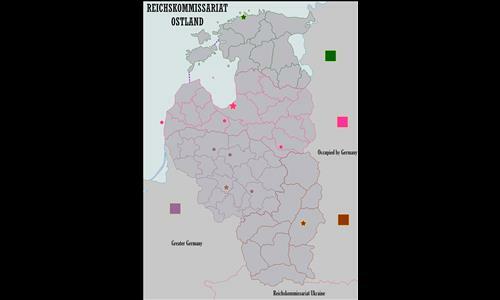 Germany established the Reichskommissariat Ostland (RKO) in 1941 as the civilian occupation regime in the Baltic states (Estonia, Latvia, and Lithuania), the northeastern part of Poland and the west part of the Belarusian SSR during World War II. It was also known initially as Reichskommissariat Baltenland ("Baltic Land"). Review by Daryle on 3/20/2017.